The name says it all. 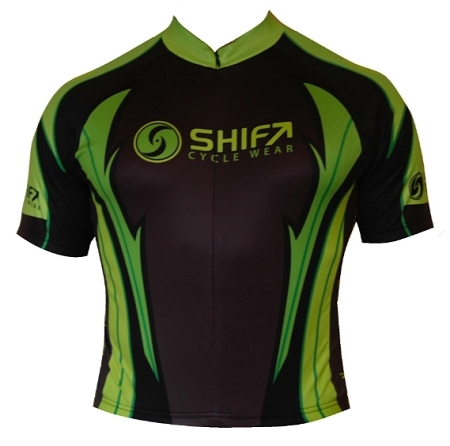 You will definitely get noticed with this brilliantly-colored Hi-Viz jersey. We've combined 2 of the most effective Hi-Viz colors available - neon yellow and neon green - to provide you with one of the brightest jerseys available. But we didn't stop with just great visibility. With intricate, stylish design work throughout, the Neon Flame is definitely not your ordinary Hi-Viz jersey.